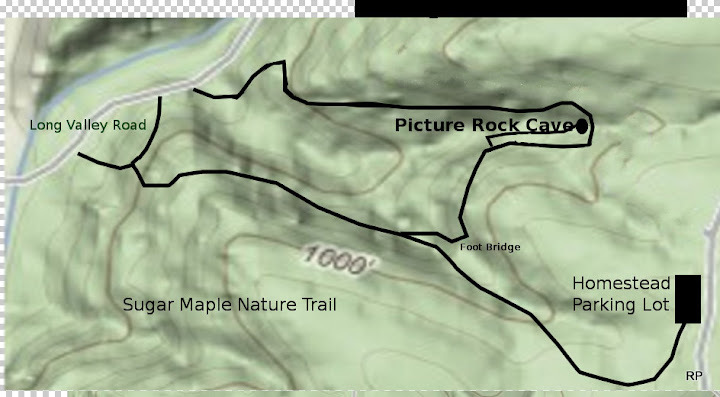 Here is an update to all information concerning trails and Ground Hog Daze at Wyalusing State Park. Turkey Hollow Trail and Cathedral Tree Drive have been groomed and tracked. Our volunteer groomer rates both trails as "good". Whitetail Meadows Trail is too drifted to do anything with at this time. With warmer temperatures predicted for this weekend (before cold temperatures set in again), we are hoping that the snow will pack, making it easier for the snowmobile to get through the deep snow. 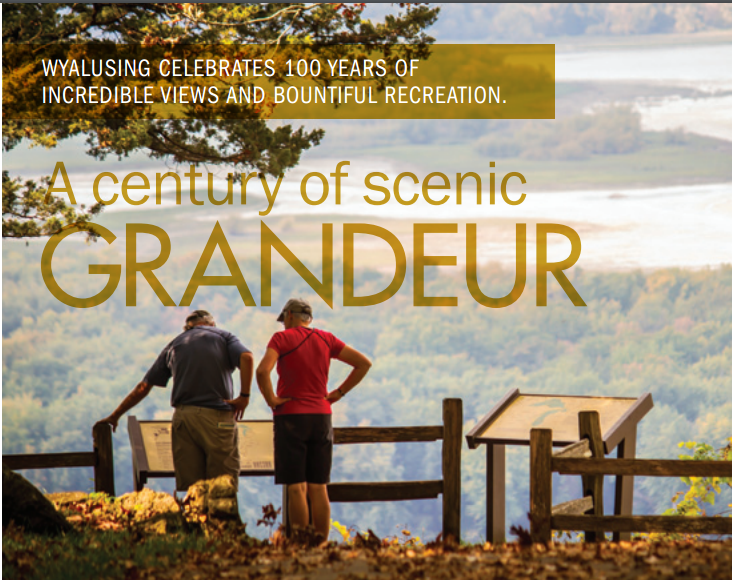 ...is coming to Wyalusing State park on February 5, 2011. The event will be held from 2PM-6PM. Torch light trail along the plowed roads of Wisconsin Ridge Campground. Special astronomy program at the Huser Astronomy Center in Wyalusing State Park. Putting the Groundhog in its Place. Groundhog Day falls on February 2nd. It's the mid point between the winter solstice and the spring equinox. If the groundhog sees his shadow, according to folk tales there will be six more weeks of winter. If it is cloudy and there is no shadow, spring is coming! 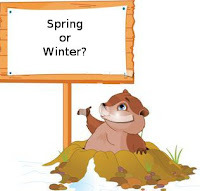 The legend of the groundhog's forecasting powers, though up for discussion, dates back to the early days of Christianity in Europe when clear skies on the holiday Candlemas Day, celebrated on Feb. 2, meant an extended winter. The tradition founds its way to Germany, altering so that that if the sun made an appearance on Candlemas, a hedgehog would cast its shadow, thus predicting six more weeks of cold weather. The Groundhog Day was then carried on in North America during the late 1800s thanks to a Pennsylvanian newspaper editor and publisher, who organized and popularized a yearly festival in Punxsutawney, Pennsylvania. The festival featured a groundhog named Punxsutawney Phil to foretell how long the winter would last. A typical groundhog, or by its scientific name Marmota monax, weighs approximately 9.5 pounds with a body length reaching about 20 inches. Groundhogs use their short, powerful legs, claws, and large teeth to dig underground living habitats, which can run quite extensively with as many as five entrances and various tunnels extending some 45 feet, and as deep underground as 5 feet. Flipping through the history books, it seems Punxsutawney Phil has spotted his shadow 99 out of 114 times. That would mean poor Pennsylvania rarely gets an early spring. However, according to the Stormfax Almanac, the groundhog is only right 39 percent of the time – a failing grade in school terms. But can you blame him? Most professional weathermen, armed with high-tech satellite imagery and advanced computer models, wouldn't dare guess six weeks into the future. Their accuracy drops quickly even three days out. In the northern states, winter often barrels past February 2 and continues through April Fool's Day. The average groundhog is 20 inches long and normally weighs from 12 to 15 pounds. Punxsutawney Phil weighs about 20 pounds and is 22 inches long. Groundhogs are covered with coarse grayish hairs tipped with brown or sometimes dull red. They have short ears, a short tail, short legs, and are surprisingly quick. Their jaws are exceptionally strong. A groundhog's diet consists of lots of greens, fruits, and vegetables and very little water. Most of their liquids come from dewy leaves. Insects do not bother groundhogs and germs leave them alone. They are resistant to the plagues that periodically wipe out large numbers of wild animals. One reason for this is their cleanliness. A groundhog's life span is normally 6 to 8 years. Phil receives a drink of a magical punch every summer during the annual Groundhog Picnic, which gives him 7 more years of life.